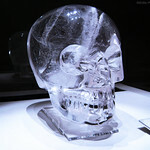 The crystal skulls are human skull hardstone carvings made of clear or milky white quartz (also called "rock crystal"), claimed to be pre-Columbian Mesoamerican artifacts by their alleged finders; however, none of the specimens made available for scientific study have been authenticated as pre-Columbian in origin. The results of these studies demonstrated that those examined were manufactured in the mid-19th century or later, almost certainly in Europe during a time when interest in ancient culture was abundant. 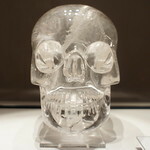 Despite some claims presented in an assortment of popularizing literature, legends of crystal skulls with mystical powers do not figure in genuine Mesoamerican or other Native American mythologies and spiritual accounts. 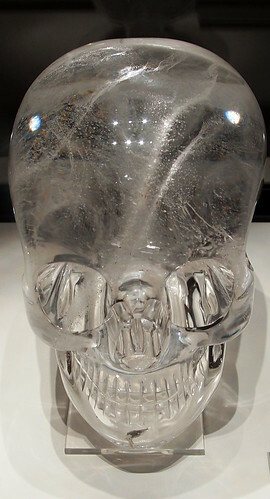 The skulls are often claimed to exhibit paranormal phenomena by some members of the New Age movement, and have often been portrayed as such in fiction. 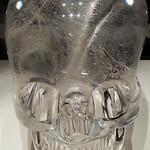 Crystal skulls have been a popular subject appearing in numerous sci-fi television series, novels, films, and video games.